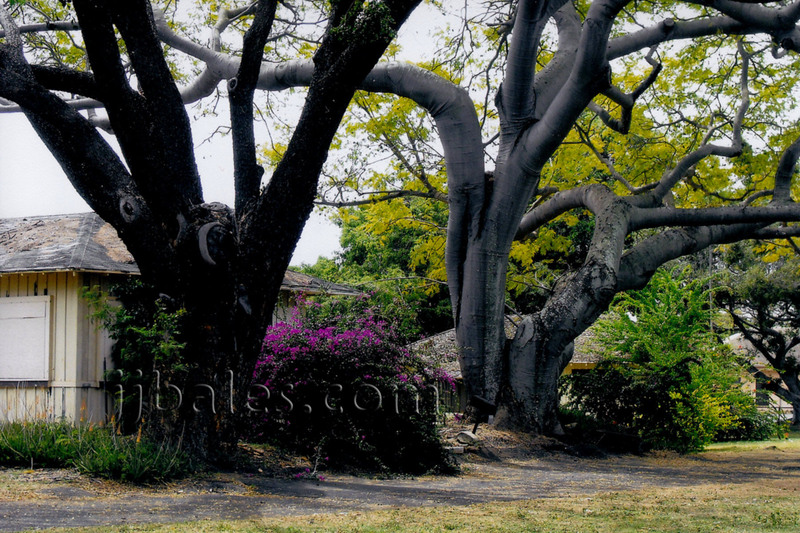 These photos were taken in March 2009 on Ford Island, located in the middle of Pearl Harbor, Oahu, Hawaii. 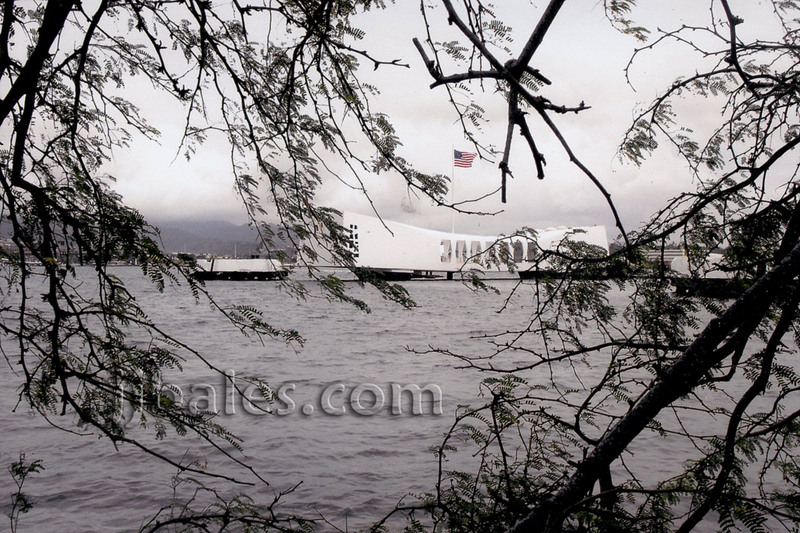 I thought it would be a unique perspective to photograph the USS Arizona Memorial from the shoreline of neighboring Ford Island. 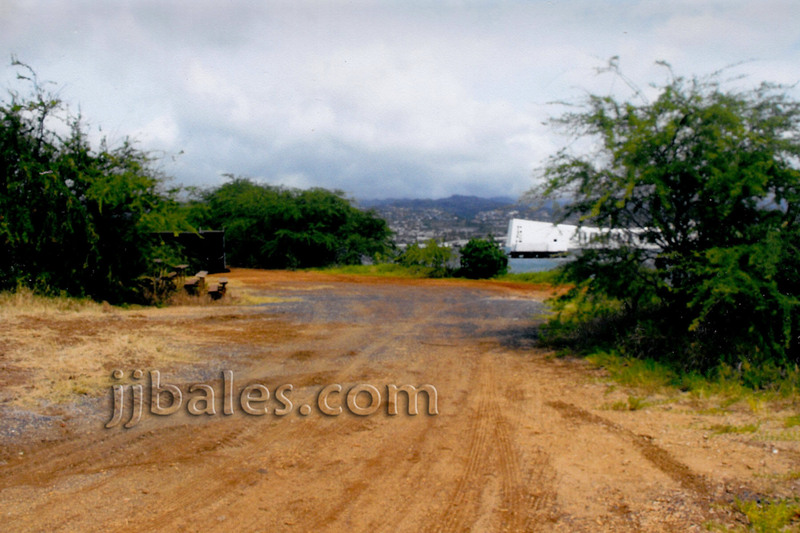 Since Ford Island is a controlled military installation it’s not readily accessible to the general public. 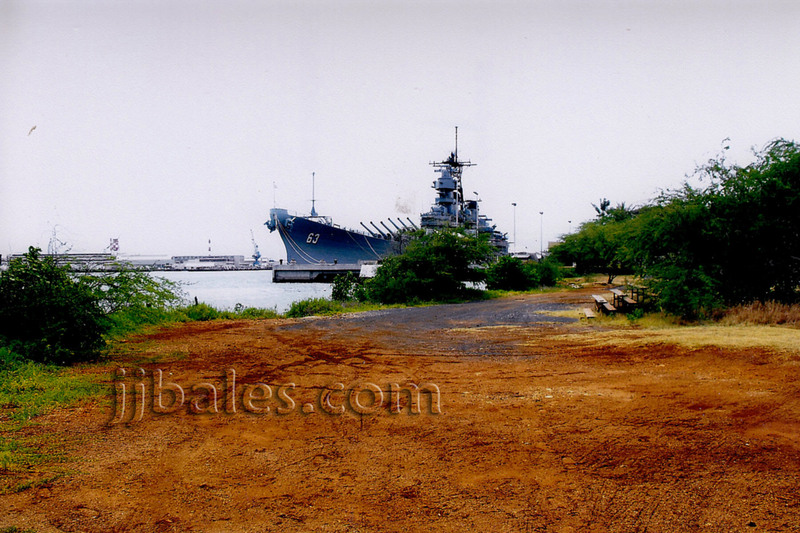 My photo tour starts on the south side of the island in front of the USS Missouri Memorial, continues east through the old Chief Petty Officer's housing area, and ends just offshore from the USS Arizona Memorial. 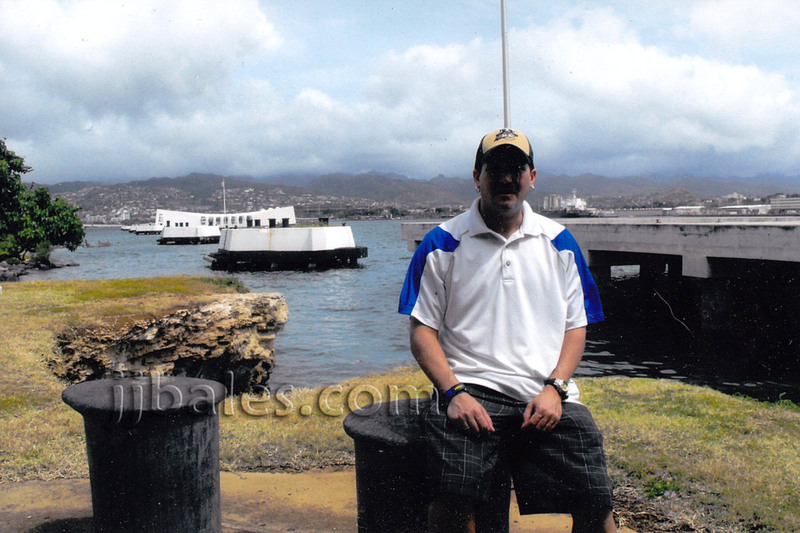 That’s me sitting on a mooring cleat, and off to the right is the pier for the battleship Missouri – which is just off photo. This is roughly the spot where the battleships Maryland and Oklahoma were moored on December 7, 1941. 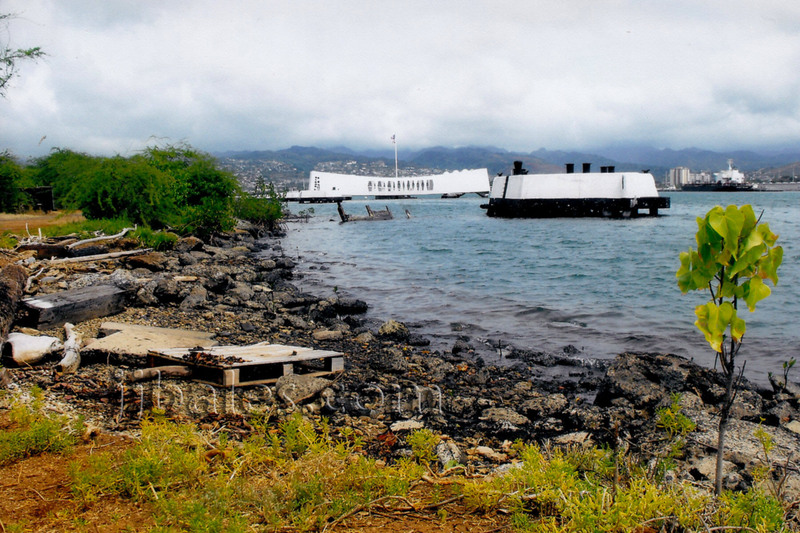 The Arizona Memorial is visible in the distance. 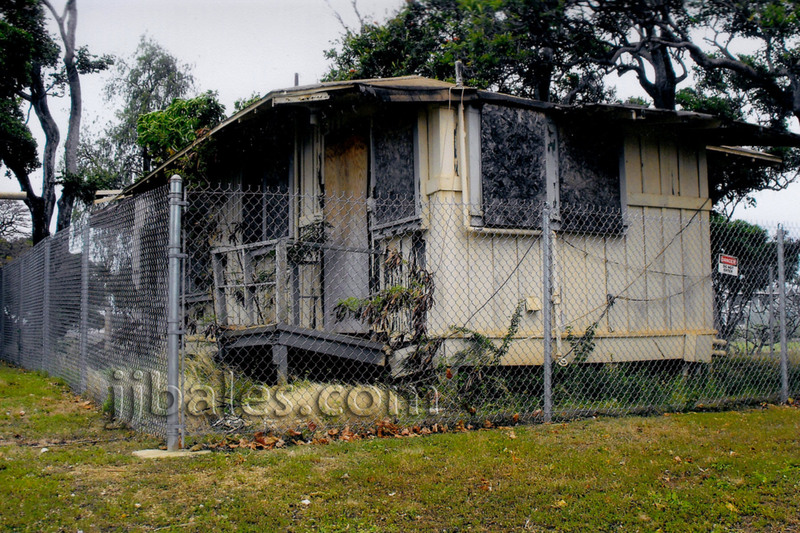 As you walk east you will pass by a half dozen abandoned homes on Belleau Woods Loop. Six small homes were built here as housing for Chief Petty Officers back in 1923, and about six more were constructed in the coming years. One of the homes was later moved and a handful of others were demolished. Huge trees have literally ripped up the pavement in this area. One of the old CPO homes that has been abandoned for over twenty years. Only six remain, but all are in terrible shape. They were slated for demolition in 1999, but a preservation effort saw them spared the wrecker’s ball. They still sit vacant and their future is in limbo. These homes have great historic value as they were literally on the front lines during the attack against Battleship Row. As you pass through the CPO housing area you come to a clearing with a power/electrical station of some sort. Continuing past the power/electrical station you soon see a set of old rusted bleachers. 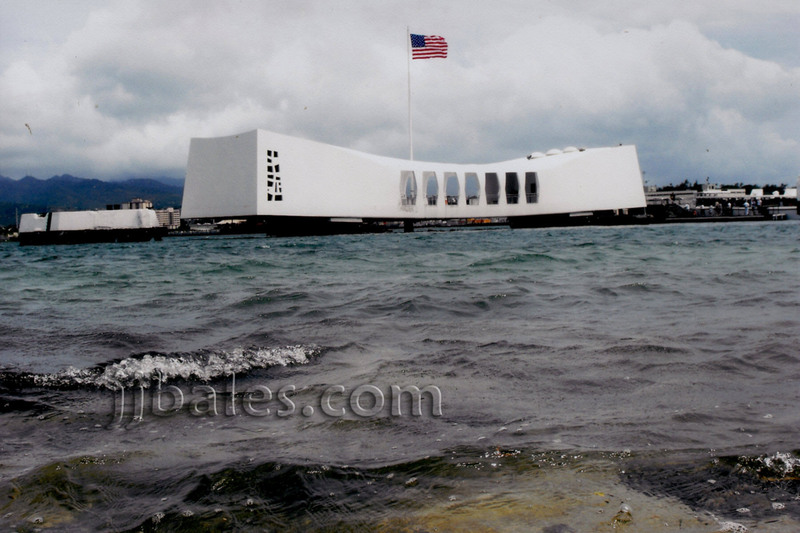 The Arizona Memorial grows ever larger. 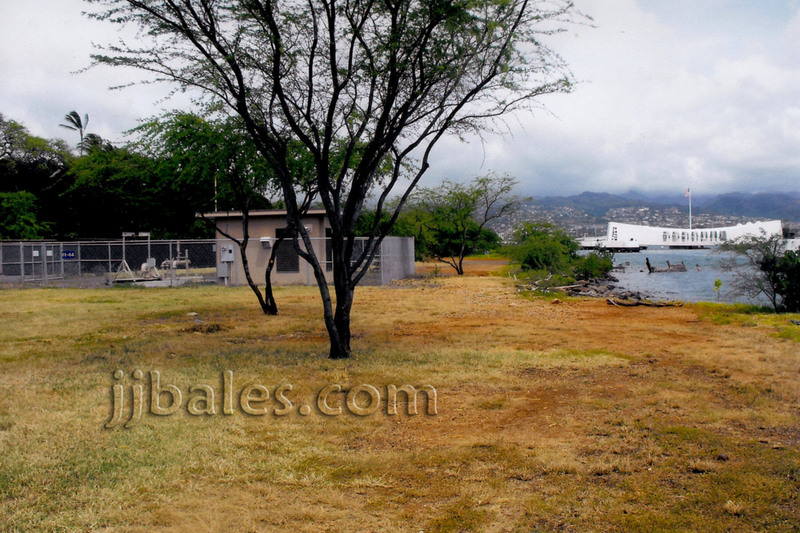 Standing next to the bleachers you can see the Arizona Memorial slightly obscured by some trees along the shoreline. The view along the water’s edge near the bleachers. Lots of debris can be seen washed up on the rocky shoreline here. The battleships Tennessee and West Virginia were berthed at this location back on December 7, 1941. The stern of the Tennessee was tied to that the white mooring quay visible just offshore. As you continue on towards the east this is what you see if you look back. The massive battleship Missouri, on whose decks the official Japanese surrender took place on September 2, 1945, dominates the view. 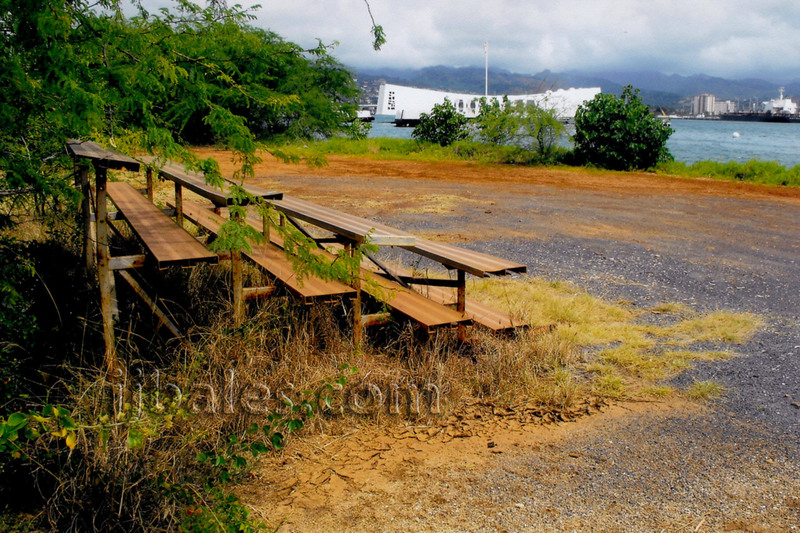 The rusted bleachers are still visible to the right. 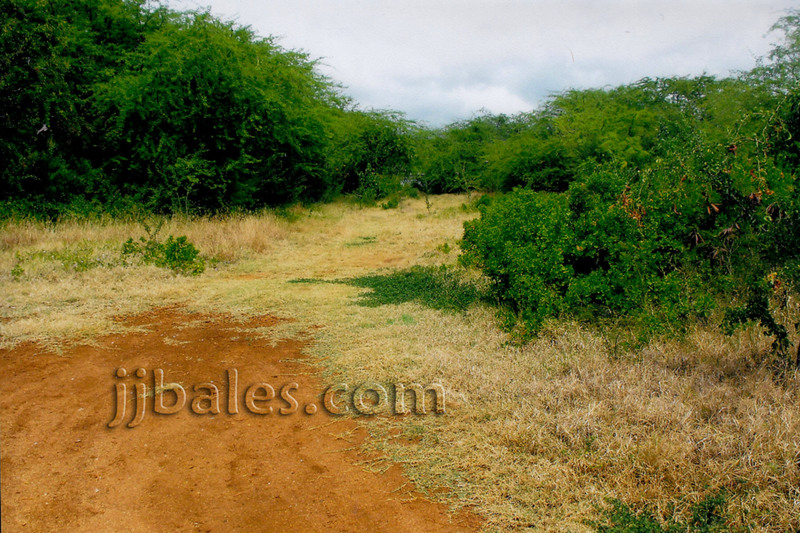 Continuing forward you follow a path as the shoreline becomes obscured with vegetation and trees. Looking back once again you see the Missouri (or “Mighty Mo”) growing smaller. The Nob Hill officer housing area is just north of this location. 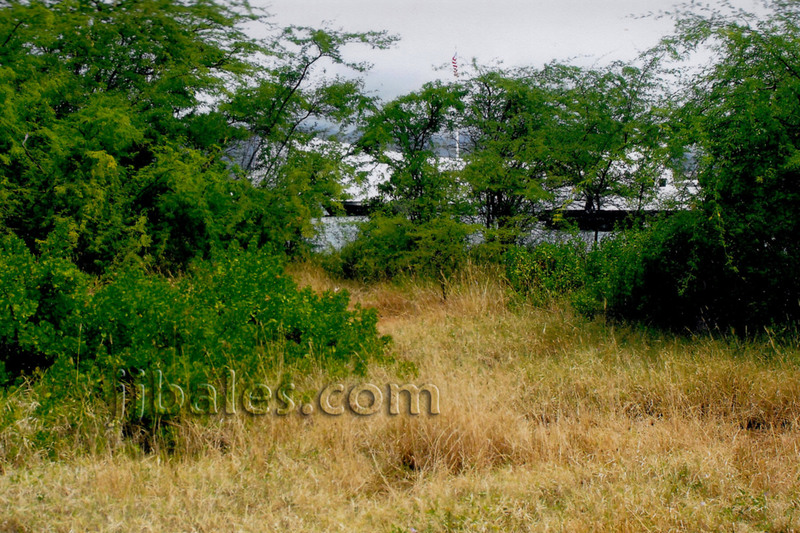 Before too long you start to see glimpses of the Arizona Memorial through the trees. As you make your way towards the water’s edge the Memorial starts to come into clear view. The payoff…and its so worth it! 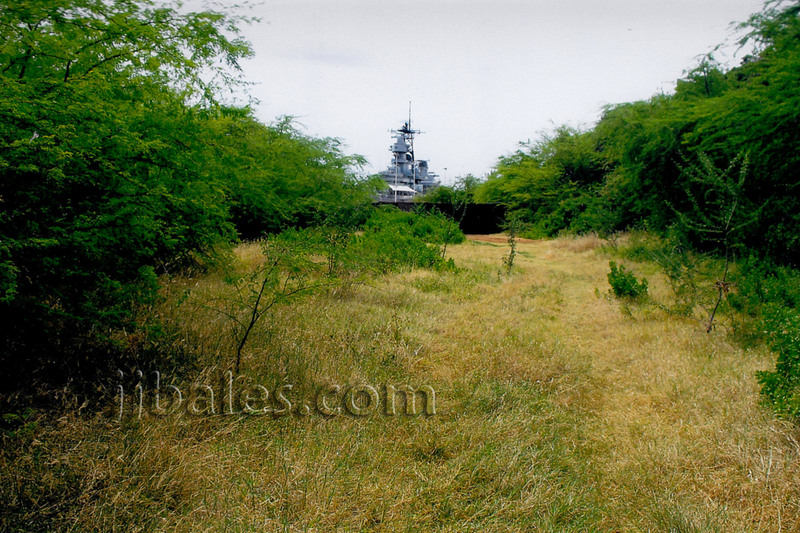 The view from the shoreline of Ford Island adjacent to the sunken battleship Arizona. It’s quite a sight from this secluded location. 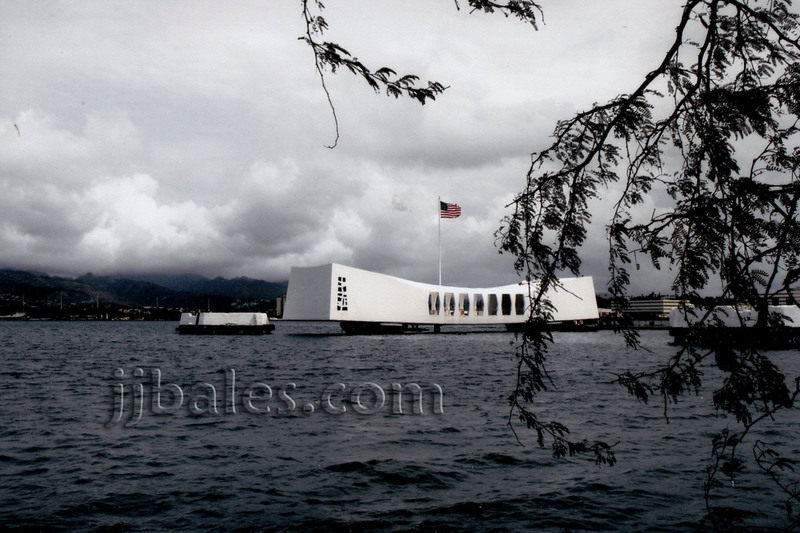 You can see all the tourists crammed inside the Arizona Memorial, but it seems so very peaceful from here.